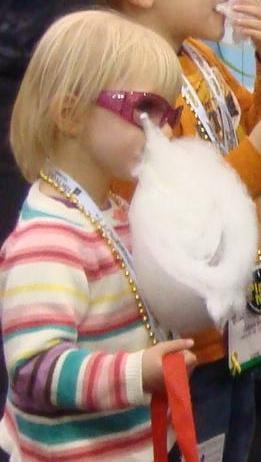 First off, do you remember when you were a kid and you got your first cotton candy on a stick? I do, and remember how much fun it was to feel that cotton candy melt in my mouth. Do you remember how cool you thought it was that they would take this stick and put it in the bowl and ta-da, cotton candy would just appear on the stick, I mean how cool was that. Well now you can have fresh cotton candy made by a Vending Machine while you watch. It is really amusing watching the kids get all exited as they watch their cotton candy being made by a vending machine, it seams like magic. All the while they laugh and dance to the music in anticipation of their very own cotton candy. As far as choice there are two cotton candy vending machine companies in the USA. Both are good machines and both produce a quality product for about the same cost.